ALERT! Mountain bikers stand to lose treasured backcountry riding experiences in Southern California’s national forests. Take Action! Let the U.S. Forest Service (USFS) know that you support IMBA’s position to protect mountain bike access. We made it easy, just sign our petition (click on Take Action! at the beginning of this paragraph). Comments are due Mon., June 11. In the four Southern California national forests: Los Padres, Angles, San Bernardino and Cleveland the USFS is currently planning for management of their backcountry lands. In order to maximize riding opportunities and not lose mountain bike access to trails, it is imperative that you ask the USFS to use a “Backcountry Non-Motorized” designation. The plans for these forests will decide where mountain bikes are allowed and where we are banned. Their current proposals include “Recommended Wilderness” (banned) and “Backcountry Non-Motorized” (allowed) designations. In several previous decisions, the USFS decided to manage “Recommended Wilderness” as if it were congressionally designated Wilderness. IMBA strongly objects to this policy. IMBA needs your help to maximize the riding opportunities in these great forests. 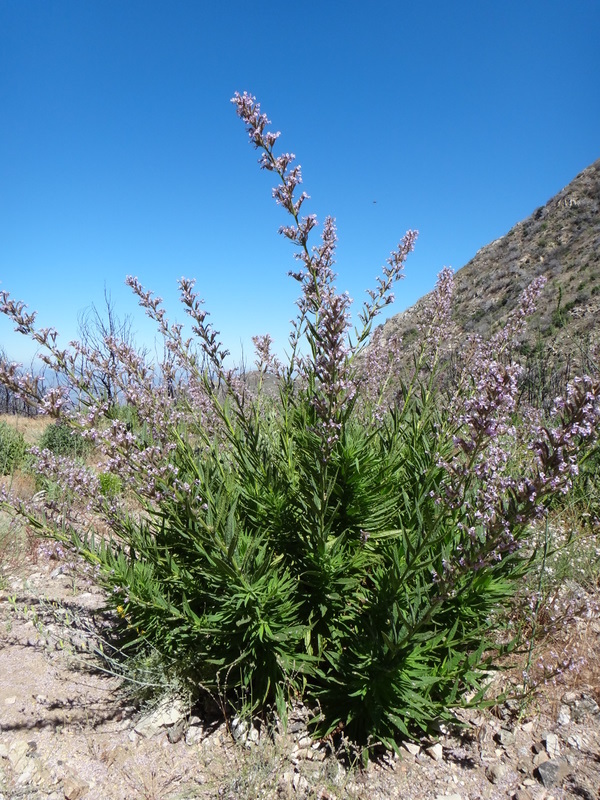 This pretty but toxic native bush is wreaking havoc on many trail users in the recently opened Station Fire area. Many people have been returning to the Angeles National Forest since the opening of the trails in May. As summer weather entices riders to the high country, many are getting their first glimpses of a changed forest. One of those changes is the abundant Poodle Dog Bush. Poodle Dog Bush, also known as Common Turricula, or Purple Flower Poodle Bush, is a beautiful purple flowered native bush. It’s an opportunist. Its seeds will lie dormant in chaparral areas for many years waiting for a major disturbance of the soil. Fire is one such disturbance, and the Station Fire has brought the bush back to life with a vengeance. People often stop on the Angeles Crest Highway or along trails to pick the pretty purple flowers. It is unfamiliar to most people, and quite attractive. 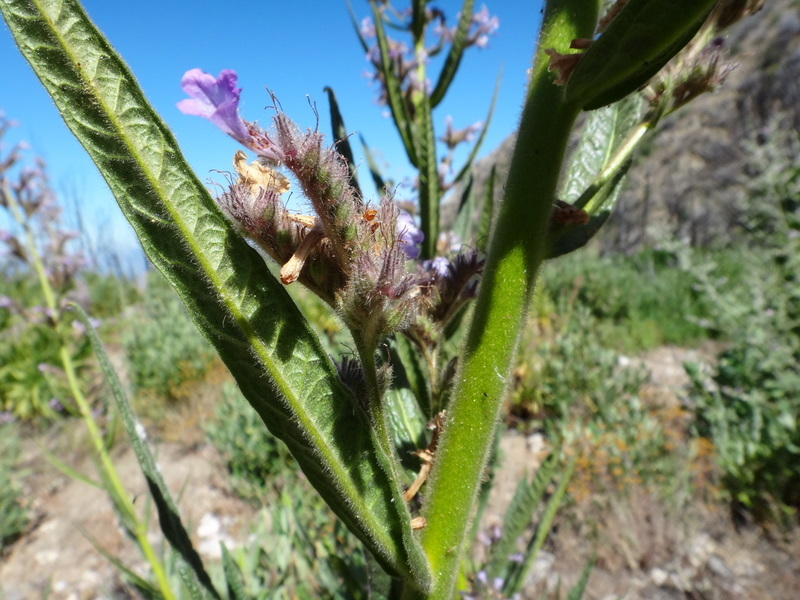 It has long slender serrated leaves and flower stems similar in appearance to Phacelia, though it has an upleasant, slightly pungeant odor. The stems grow from the base of the plant and it can grow to eight feet tall. What people don’t realize is that the bush is covered with tiny hairs similar to stinging nettle, seen clearly in the close-up image below. However, there is no immediate pain or sensation like nettle gives. Poodle Dog hairs will latch on to bare skin or clothing and release a toxin to which most people will have a severe contact dermatitis type reaction. The swelling, rash and itching appear twelve hours to two days after contacting the bush, and the rash can last for two weeks or more and require medical attention. Severe cases can result in large blisters. The bush is more prevalent at higher elevations, but can appear throughout the recently burned areas. Forest Service officials have stated that the current post-Station Fire bloom is the largest in recent history. 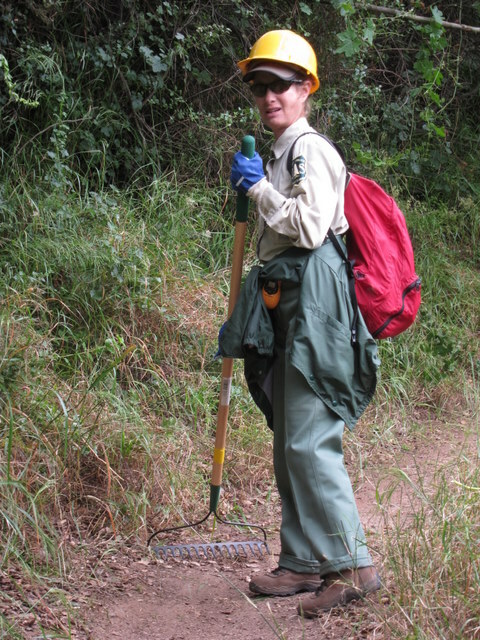 Trail users and trail maintenance volunteers need to be especially cautious, as it has appeared along many trails including narrow single track trails where it is difficult to avoid. If exposed to the bush, avoid scratching the affected area. Clothes, tools or other equipment that has come into contact should be handled with caution and washed separately from other clothes. Calamine or over-the-counter Hydrocortizone cream may provide some relief, but if blisters begin to form medical attention may be required. Poison Oak remedies such as Zanfel or Tecnu have little effect, but washing the area as soon as possible after exposure is advised. We need to be aware of Poodle Dog Bush. It’s life-cycle can last up to ten years after a significant fire or other disturbance. Eventually it will die off and lay dormant once again, waiting for the next big fire to come back to life. On Saturday June 4th, CORBA volunteers worked with Mount Wilson Bicycling Association to restore the Lower Sunset Ridge trail. The one-mile trail runs between Millard Campground and the Mt. Lowe Fire Road. This portion of the National Forest had just been opened a few weeks prior, and the trail was in relatively good shape, but severely overgrown in places. The original plan was to split into two crews and tackle both the Lower Sunset Ridge and brushing on the Sunset Ridge trail. It was a disappointingly low turnout, with only five people coming out to give back to the trails. However, the five who came out were all experienced trailworkers, and we were able to get the entire trail brushed. That includes all the poison oak. We also rebuilt a basket that supports the trail through a drainage, carrying several tons of rock by hand to fill the void in the trail and restore the tread. Mount Wilson Bicycling Association had done a previous day of work on State Trails day, repairing another problem drainage along this trail. We’re happy to see the MWBA getting more active once again, and look forward to working with them on future trailwork days. 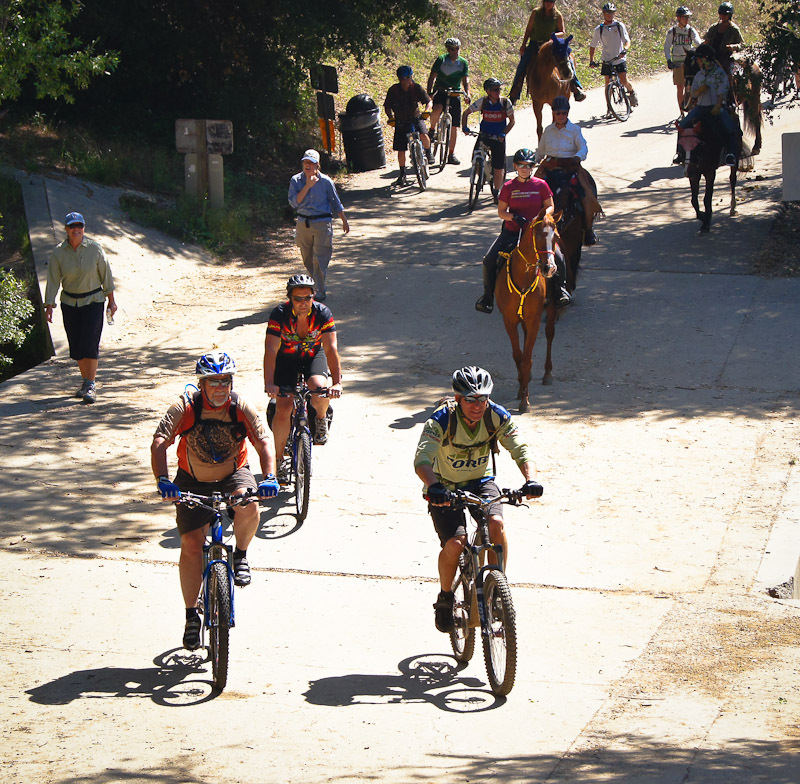 Thanks to Mitch Marich of the Mount Wilson Bicycle Association, Angeles Mountain Patrol and intrepid trailwork volunteers Mike and Robin McGuire for all your sweat. More before and after pictures after the break. 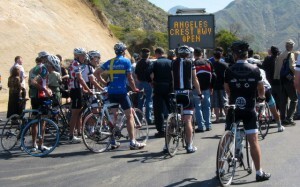 This morning, June 3, 2011, at 10 a.m. the Angeles Crest Highway was opened to motor traffic, bicycles and pedestrians. It has been closed since the Station Fire of 2009, while numerous repairs were made to the highway. It had been scheduled to open last November, but one of last winter’s heavy storms brought down the hillside onto the newly repaired road. Repairs have been completed on the section between La Canada and Clear Creek. Construction continues on a few sections beyond the Mt. Wilson road junction, but traffic is being flagged through the construction zone. Caltrans also removed the winter closure of the highway at Islip Saddle. ACH is now open all the way through to Wrightwood. 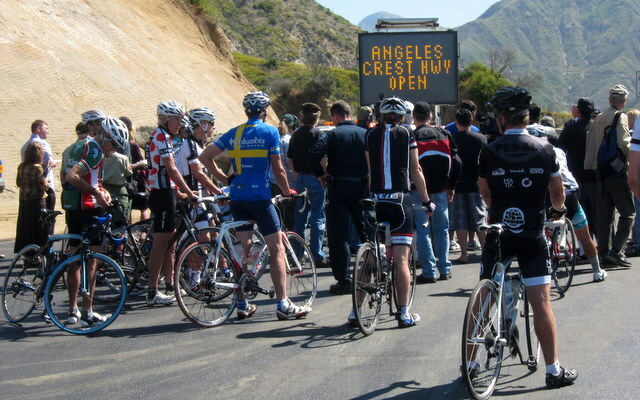 Dozens of cyclists were among the first to pass the ceremonially opened gate, just outside the Angeles National Forest border. CORBA volunteers Steve Messer, Mike and Robin McGuire were also on hand, and took the opportunity to do some trailwork along the Grizzly Flat fire road after climbing Mt. Lukens. This has been a much-anticipated day, welcomed by hikers, mountain bikers, and everyone who just wants easier access to the forest. 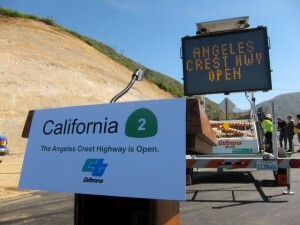 The highway opening has come just a few weeks after the May 16 opening of many trails that had been closed due to the Station Fire. A complete list of opened trails can be found in our previous story. Keep in mind that even though these trails are in the opened area, the individual trails may be signed closed (And those signs mustl be respected). Many of the trails will not be in good shape, so be prepared for surprises like downed trees, massive ruts or slides, washouts, and other hazards. In addition to the above a separate closure remains in effect for the Williamson Rock area (Closure Map is available). The Forest Service and the National Forest Foundation (NFF) are planning to host several meetings with existing and potential supporters of the Angeles National Forest to determine public interest in forming a Friends of the Angeles organization. The meetings will be held during the last week of April in three locations. A CORBA representative will be attending, and we hope to see other mountain bikers and multi-use trail advocates attend as well. During the course of each meeting, there will be talk about the challenges the Angeles National Forest faces–particularly in light of the Station Fire–and how a Friends group could help. There will be a discussion of what form such a group might take, what supportive activities it might take on, and the steps involved in creating the organization. All users of the Angeles National Forest to attend one of these sensing sessions, both to provide input and also to hear what others have to say. These meetings will provide an opportunity for us to share what we are already doing as “friends” of the Angeles, and how our efforts may be helped by an official Friends organization. 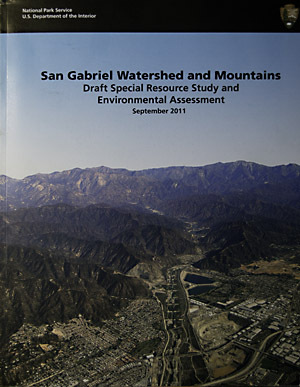 The information gathered at the meetings will be used to shape a Friends group that truly meets the needs and passions of all who care about the well-being of the Angeles National Forest. Other similar groups can be found in the Inyo National Forest (Friends of the Inyo) and the San Bernadino National Forest (San Bernadino National Forest Association). The National Park Service has a web page with information on how to start a Friends group at http://www.nps.gov/partnership/friends_groups.htm. If you have questions about the meeting, call Kathy Peterson, the partnership coordinator for the forest at 626-437-5789. Angeles National Forest Supervisor’s Office, 701 N. Santa Anita Ave, Arcadia, CA 91006. Big Pines Information Center, Angeles Crest Highway (Hwy 2), Wrightwood, CA 92397.